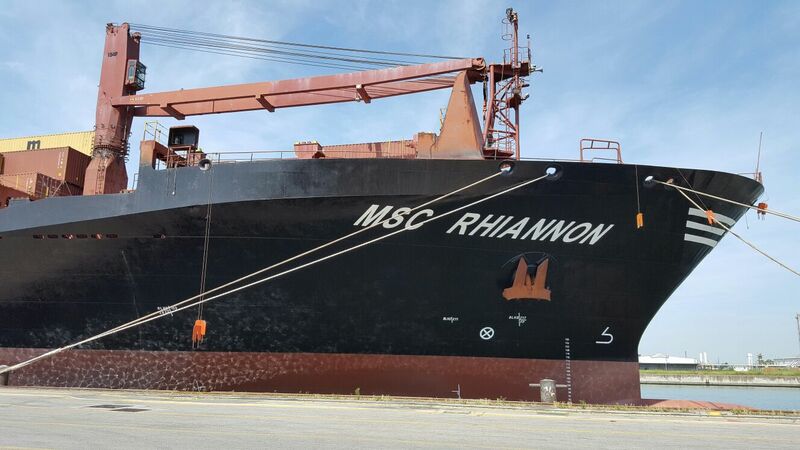 Maiden call in Ravenna for the m/v MSC Rhiannon. At the end of May and the imminent arrival of summertime, the cities and the beaches of the Romagna region prepare to welcome hundreds of thousands of tourists from all over the world, looking forward to visiting, often for the first time, this generous and hospitable land. 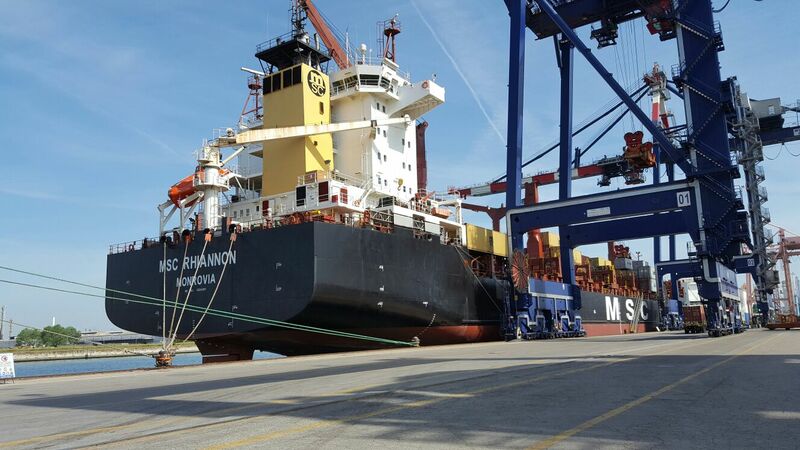 In Ravenna, Terminal Container Ravenna welcomed, with the same spirit, the m/v MSC Rhiannon and its crew, berthing for first time along the quay of TCR. The ship, built in 2001 and with a capacity of 2,078 TEU, has been recently recently added on the MSC D service, which weekly connects Ravenna with the main ports of the East Med. A total of 228 containers have been handled during operations on the MSC Rhiannon. 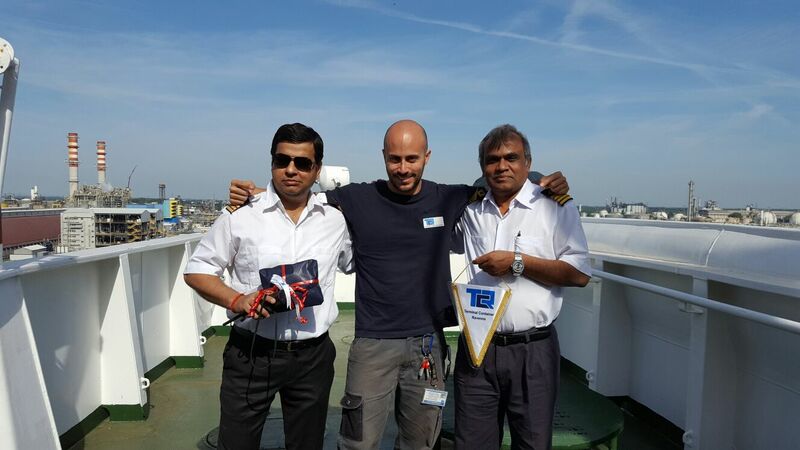 During operations, following tradition, TCR Planner Michele Chiapponi went aboard to extend a warm welcome to the Commander, Captain Binod Kumar and the First Officer Arvind Tripathi, offering them a small gift as a memento of the first maiden call of the ship in Ravenna.